Something exciting happened on Saturday night. Before you start assuming that I got lucky at Liverpool Pride, I should point out that the BF was present. Actually, Ian was there as well. This is just making it sound worse, isn't it? Last Saturday, we passed through the shell of Liverpool Central. For weeks, it's been the same: concrete walls, a distinct lack of brown. This time, however, there was something worth seeing. Workmen had begun to erect the new white wall covering. Thrilling stuff. It bodes well for Central's proposed re-opening on August 25th (Wirral Line only). 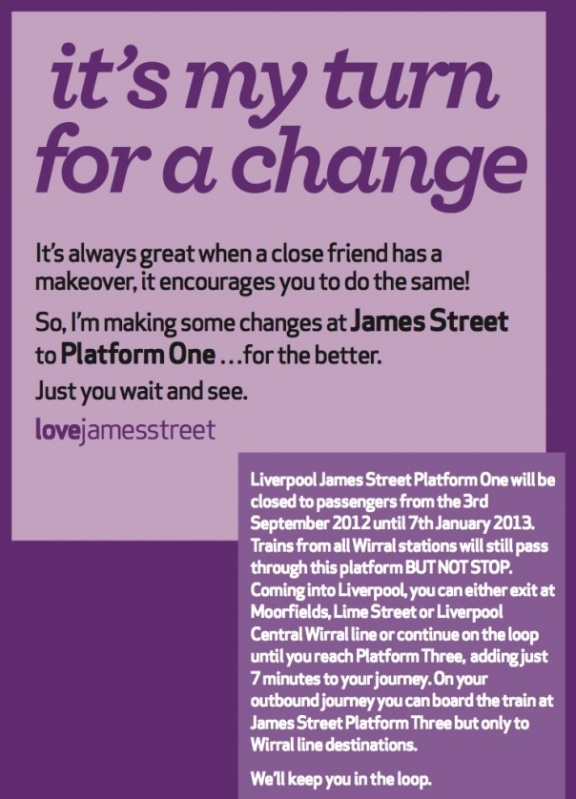 At the same time, publicity is starting to appear about the closure of James Street. That station's a bit luckier than Central, because its position at the head of the Loop means it has separate in- and out-bound platforms; as a consequence, only one needs to be closed at any time. 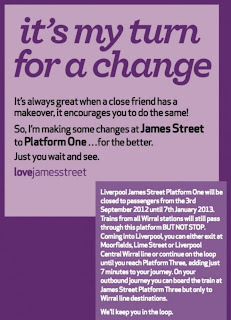 A week after Central reopens, on the 3rd September, Platform One will close. Those anthropomorphic posters are back, along with a new colour scheme. Central was red and yellow, but James Street is... lilac. That was unexpected. This naturally raises the question of what colour the other stations are going to be. TAUPE FOR LIME STREET! The first thing that comes to mind is that the shiny white walls are going to be horrendously difficult to keep clean. Surely the last bit of line 7 can't be deliberate? 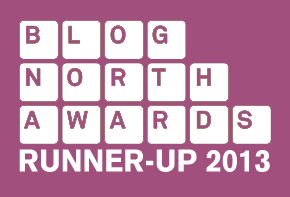 This is a family blog, after all. Who on earth said this was a family blog? I knew I'd read it somewhere.